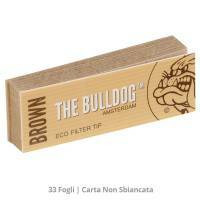 The Bulldog Brown Eco unbleached Paper Filter tip, 33 Sheets Booklet. 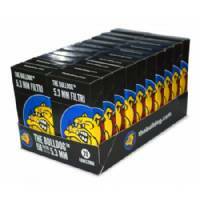 The Bulldogs Slim Filters, 126pcs in practical sticks, are 6mm filters in cotton, ideal for those who like to roll their own cigarettes without losing aroma and taste of the favourite tobacco blend. 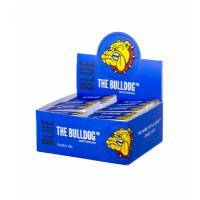 The Bulldog Blue Papers (BOX 50pz) are lighter, made in pure hemp and natural arabic gum. 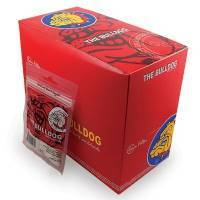 The Bulldog 6mm Filters, 120 pcs, have the right texture, perfect for rolling your own cigarettes. 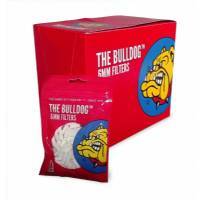 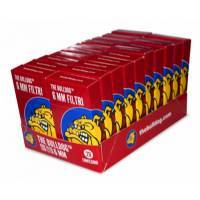 The Bulldog 6mm Filters, 34 packs x 120 pcs, have the right texture, perfect for rolling your own cigarettes.